Everyone's favorite lady of the house is the star of the best mom commercials from around the world. After a hard day of kid raising, take time for yourself and settle in for the top 15 hilarious commercials featuring mom as the star. If you like Toyota's Swagger Wagon commercial (see #4 on the list), you'll love The Motherhood. 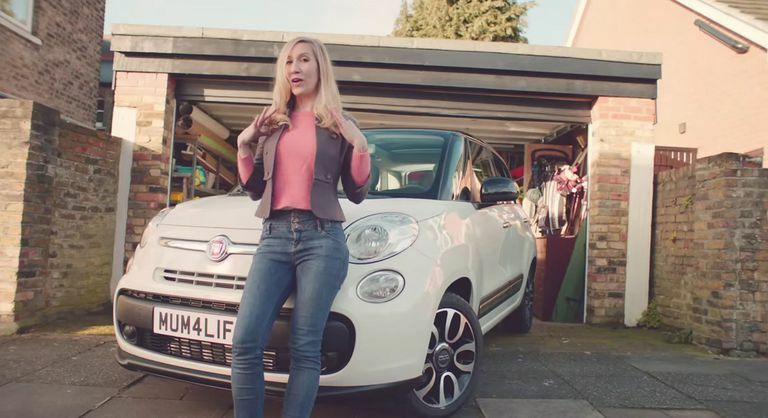 The Fiat 500L ad for the UK tops the list of mom commercials because its side-splitting humor is so true, you'll think the ad's creators ripped off your life story. Dads, you're not left out either. Fiat has put together a sequel called The Fatherhood just for you. Luvs has created a whole series of mom commercials that show the difference between first-time moms and those who have more than one child. They're commercials every mom can relate to and laugh at with their true-to-life humor. It's hard to narrow one down as the best so these three will have to share a spot on the top 15 list of most-funny mom commercials -- Park, Breastfeeding and Changing Station. You deserve a medal if your kids have never thrown a tantrum. For the rest of us, we've all witnessed our kids' public meltdowns and been so frustrated that we wanted to out-tantrum our kids. The UK is home to a Vick's commercial that is so funny, you'll be tempted to try this the next time you're out and about and one (or more) of your children tries to manipulate you with that embarrassing kid behavior. A lot of market research goes into creating memorable and effective ads. Even Toyota couldn't have predicted its Swagger Wagon commercial would become a viral sensation when it was released in 2010. At the time of this writing, it has more than 13 million YouTube views. It features the fictitious Sienna family rapping about their life as parents who've gotten their swagger back now that they drive a Toyota minivan. If your spouse has ever used your kids to make a joke about you, you're not alone. KFC's South African commercial for Fillers features a mommy, her husband and their son. But Dad's got a devious side that lands him in trouble when he makes a joke about pregnant mommy and her baby's location. This Scottish commercial features a hot mom whose son's friends can't help but notice her new push-up bra. But the commercial's advertising IRN-BRU, a Scottish soft drink her son keeps downing to help him get through the awkward moment where his friends can't seem to take their eyes off his mom. A divorced mom in Sweden is the star of this IKEA commercial. Her three kids are coming home from time with Daddy and she's got some cleaning up to do before they make it up the stairs. It's a bit racy if you get offended easily but you'll see more in prime time TV. We've all cheered when our kids announce they've gone potty but then we've gone on a not-so-treasure-filled hunt to find out where that magic moment happened, just as this mom finds out. A parent definitely had something to do with this 15-second commercial's creation and it delivers a laugh out loud moment every time it airs. Another commercial in the series features #1 of potty time and is also worth watching. Oh, moms. We love to think we're 'with it' but this ad shows just how out of touch that we can be with our kids. It's a cute Burger King commercial that brings back the Cabbage Patch icons from our past as well as the cabbage patch dance. A hottie gets checked out, literally top to bottom, and the cutie sitting at her kitchen table invites her to a party. What you don't see coming is who the gal is the guy's checking out. A funny commercial to watch when you feel like you're not a woman anymore, you're "just" a mom. Oh, that competition among so-called mom friends. They're the stuff mommy wars are made of. But this mom gets her own form of revenge in a Cheetos commercial and, you have to admit, there's probably someone you know who you would like to do this to some time. 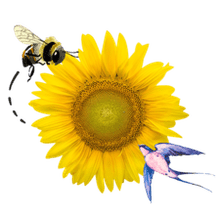 Are you tired of all those commercials that show the perfect mom with the perfect kids in her perfect house pitching some random product that she insists you have to buy if you really do love your family? This Straight Talk ad pokes fun at those commercials while pitching a budget-friendly alternative to the high cost of cell phone service. A boy questions what's happened to his father when Kevin Durant shows up in his dad's tiny pajamas. Mom's not that upset, though, and this Sprint commercial takes an unexpected twist at the end. There was probably a time in your life that you drove around the block feeling like you were the coolest person in the world. Here's a mom redefining that. Although her minivan is riding low, the gangster mom commercial isn't for a car company. It's for GameStop. Every mom has wished for some help around the house. One mom gets a surprise in a Kmart commercial that looks great at first but, instead, proves that big messes can come in small packages. Should You Worry If You Don't Have a Best Friend?